That's right folks, we have brought Goat Yoga to the neighbourhood! Join us at the farm for the fun and frenzy of a one hour session of goat yoga with a certified instructor. Participants will enjoy a beginner level yoga class while interacting with the curious and friendly goats. Goats love to climb, nuzzle and be with people! 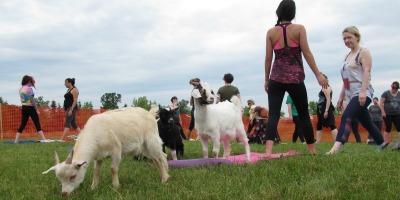 Participants are encouraged to wear old clothes and bring towels instead of yoga mats, as goats like to nibble! Please be aware that participants will be in close proximity to the goats. Sessions are offered sunshine or overcast weather. 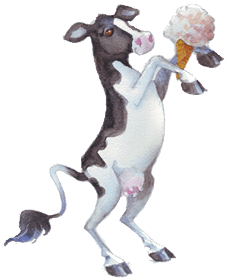 In the event of weather such as rain or thunderstorms it would be cancelled, and refunds issued. Limited spots available! 20 Participants per class. Sign up for our available yoga classes via Eventbrite by clicking on the blue date/times below. Join us for an inclusive goat yoga class for individuals with developmental and/or physical disabilities. Our certified yoga instructor will lead participants in a yoga session with various moves and poses comfortable to all participants. Are you a community leader who is looking for fun activities to do with your group? 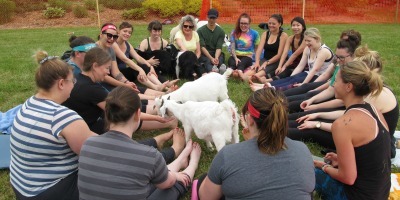 Contact us for details on inclusive goat yoga! Looking for a fun activity of the children? 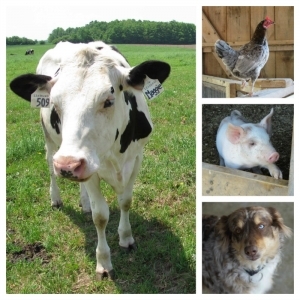 Bring them to goat yoga for our special kids yoga session! Half hour yoga session with free time at the end to interact with the goats for $10 plus tax! Sign up via Eventbrite by clicking on the date/time below. Additional dates and times will be added through the summer! To receive updates and notices about Goat Yoga sessions, please sign up for our Goat Yoga e-newsletter list.